People disappear to Rockton so no-one can find them. But the trouble is people also disappear from Rockton. 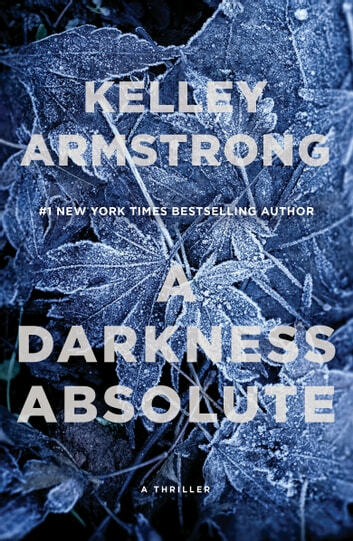 New York Times and Globe and Mail bestselling author and master of thrills Kelley Armstrong returns to Rockton for more page-turning suspense, following her #1 national bestseller, City of the Lost. It's winter in Rockton, a little town hidden deep in the wilds of the Yukon. The town exists for people who need to escape their pasts, though it's not clear if those in hiding are victims or perpetrators. Or, when the lines gets blurred, maybe both. Ask Casey. She's been used, betrayed, beaten. But she's also killed someone. She moved to Rockton to help her best friend, Diana. Ex-best friend. Diana lied to get Casey to come with her; she used her and she almost got her killed. But Casey decided to stay anyway, to work as a detective alongside her new boyfriend and the town's sheriff, Eric Dalton. Fresh off solving a series of grisly murders, Casey and Deputy Will Anders get stranded in a blizzard while they're tracking a runner from the town. Seeking shelter in a cave, they stumble across a woman who's been imprisoned in a deep well. Nicole Chavez--whom everybody thought had run away from town and died in the woods more than a year earlier--is alive. Barely. But she can't identify her captor: she's never seen his face. A real page turner. this may be Kelley's best series yet! I loved this book. It keeps you on the edge... not wanting to put the book down. I live all the books Kelley Armstrong has written. I can't wait for more. I enjoyed this novel but not quite as much as the first in the series. I loved the setting of the story and am intrigued by the little town of Rockton. I will read anything by this author, she never disappoints.